Mayjo Car Rentals has a fleet of modern cars and a variety of models to ensure maximum customer satisfaction and value for money as per the company`s mission statement. We have got more than one solution for you! 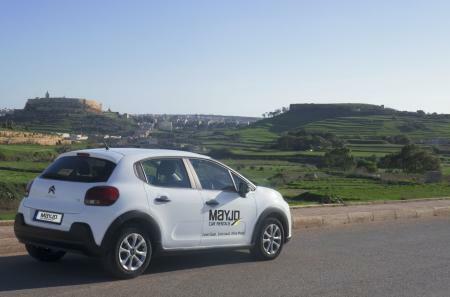 Mayjo cares for the well-being of its customers and thus all cars are properly checked and valeted before each rental. All customers are provided with clean and well-maintained cars. 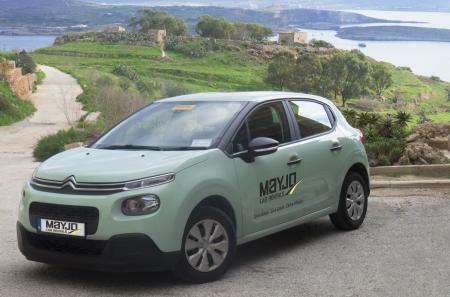 Mayjo is environmentally conscious and provides low emission vehicles. 24Hr roadside assistance ensures that our clients are promptly assisted. Whether you are travelling for business or leisure purposes, we will provide you with a service customised to your personal needs! 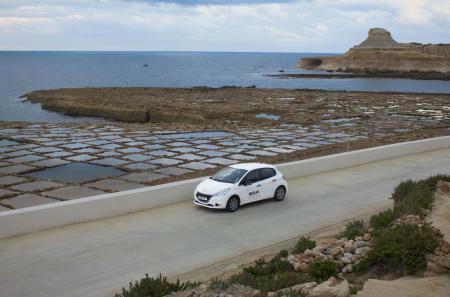 Car hire in Gozo is a must allowing freedom and flexibility. We aim to be different from other companies by offering a value-added and quality service while keeping prices low with no hidden charges upon rental. Are you travelling alone? With a group? Are you on business? Or with your family? Mayjo Car Rentals has a fleet that will cater for your specific need from an economy to the full-size car to a minivan and for the more adventurous 4X4 Jeeps. Safety of all cars is a must. For families with young children, we offer high-quality cars equipped with baby seats at your request and all necessities required in line with our four concepts: safety, reliability, comfort and quality. While the company is aware that unforeseen circumstances may occur, it aims to ensure that any complaints are resolved in the interest of its customers to make sure that their holiday or business trip is a truly memorable one. Mayjo offers you that peace of mind you need in order to ensure a stress-free holiday. Our vehicles all have fully comprehensive insurance included with an excess for a normal car as low as €350.00. The option to waive off the excess is also provided. We are also able to deliver or collect the car rental of your choice at your accommodation or Mgarr Ferry Terminal. For rentals of at least four days, this option is provided free of charge. Alternatively, a complimentary service is also provided where one of our drivers can also pick you up from anywhere in Gozo and bring you to our office in Victoria to collect the car and do all necessary paperwork. Mayjo offers 24-hour car rental as well. Should you visit Gozo for one day only as a day trip from Malta, we are able to collect you from the Mgarr Ferry Terminal in Gozo in the morning and on your return, the car can be dropped off also at Mgarr Ferry Terminal. The price for car rental from one to three days will depend on the date/season you will need the car. Want to hire a car for a number of weeks or months? Contact us by email so we can provide you with a cheaper rate. Your car hire can easily be booked online on our website. Follow a few easy steps and book the car of your choice. Alternatively, you can fill our Car hire request form and one of our staff will get back to you with a quote. Lifelong Loyalty. Mayjo rewards You with special rates! We proudly say that over the past fifty-four years, we have built a successful relationship with our customers and won their trust. Many customers have been loyal to our company and kept using our services each time they visit the island. The company is thankful to its many loyal customers and thus always guarantees special rates and treatment each time they use our service. Mayjo continues to strive to give the best possible personalised and professional service to all its clients.